Thinking about how to study Chinese involves planning of some sort. If you try to combine studying with working or find that other things take up a lot of your time, it’s important to spend at least some of the time you have thinking about how you spend the rest of the time. Even if you’re lucky and study Chinese full-time, you still need to think about what to study at what time to make the most out of it. I have come up with a concept of time quality that I think helps quite a lot when thinking about time management. This concept of time quality is not revolutionary, but since I’ve found that most people don’t think like this, I thought I’d share some thoughts on the subject. 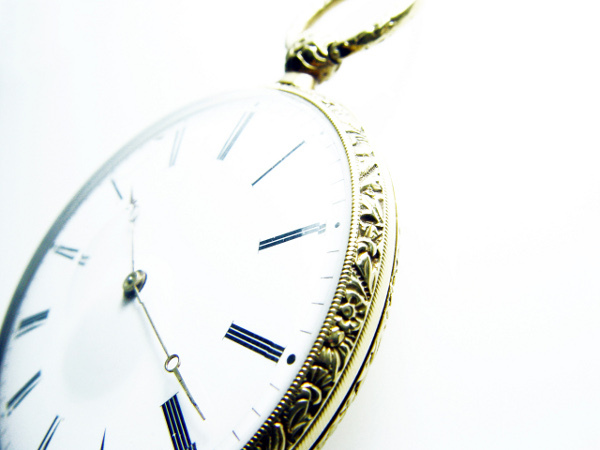 The basic idea is that a given stretch of time has a certain quality. The time of the highest quality is when you can do anything you want and is quite rare. However, if you have an entire afternoon free, can go where you want and have few obligations, that is good enough to be considered as perfect quality time in a practical sense. Time quality is not a linear spectrum, however, because even if there is only one kind of very high quality time, there are many different types of low quality time and it is important to understand the differences between them. Low quality time is time when you can study, but only in a limited manner. A good example would time when you drive your car to work. You could listen to something while doing this, but you can’t practise writing characters. This is one kind of low quality time. Another example would be time you spend alone, but away from your computer and phone so you can’t listen to Chinese or look up things on the internet. This is another kind of of low quality time. Using this approach, every second of the day can be considered to be study time of different qualities, albeit sometimes so low that it’s impossible to use for studying. This is simple enough and can be illustrated with a basic example. I will give more examples of this later, but let us consider an obvious one first. 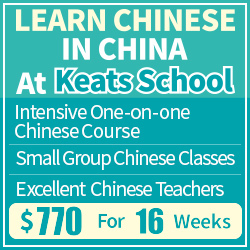 Let’s say you have two hours to study Chinese every day, one at home before you go to bed and one on the bus. It’s stupid to spend the hour at home practising listening, because that is something you can easily do on the bus. 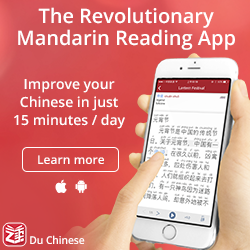 On the bus, however, it’s much harder to study characters, read texts or any number of tasks associated with learning Chinese. At home, these restrictions are gone. Time at home has a very high quality, so you should spend it wisely. Don’t do things at home you can do on the bus! The best way to manage time in this way is by starting from the bottom with the time of lowest quality and then moving up to gradually increasing qualities. This means that you make yourself think about your time on the bus, in the car, waiting for dinner, doing a menial task at work or something else, and then figure out what parts of your studying you can do in these slots of time. Doing this, you will find that after a while only tasks that require very high quality is left and you can then choose to do these parts whenever your have high quality time at your disposal. 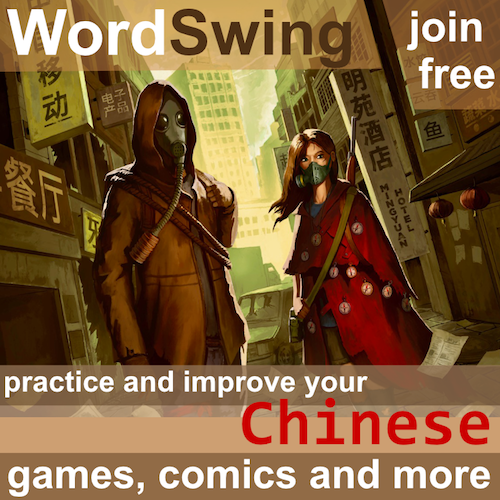 Take vocabulary with you when you move around, preferably using spaced repetition software such as Anki. Spending time in front of your computer reviewing characters is a waste of time quality. This can easily be done while you wait for a friend, while you wait for food, are on the bus or at any number of different times. Make sure you always have something to listen to. Since listening ability is mostly a function of time spent listening, it’s essential that you can utilise low quality time as much as possible, because you’re going to need the higher quality time to learn other things. If you start analysing your time in terms of quality, you will be surprised at how much time you have at your disposal. Use Chinese when you speak with yourself. 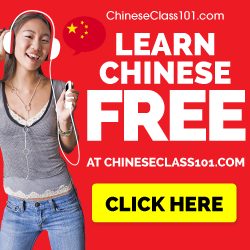 Depending on what level you have reached, this can include anything from counting things in Chinese to having your internal dialogue entirely in Chinese. This means that you can practice piecing together sentences in Chinese in many situations where many other kinds of studying is impossible. Prepare before you go to class. Asking your teacher questions you might as well have looked up on your own is a waste of your time (as well as your classmates). You want your teacher to correct your pronunciation, grammar and so on, which is very hard to do yourself. If you just want to know how to pronounce a character or how to say “torpedo” in Chinese (look it up, it’s a really cool word), use a dictionary. In short, this is just a different way of looking at the time you have at your disposal and trying to find what is optimal to do at a given situation. It’s of course not only useful for studying Chinese; the same approach can be used for anything. Note that this is a strategy for the lazy and the ambitious alike. If you study what you need to study on the bus, you can do other things when you get home. If you study all your flashcards while waiting for a friend, you can chat with him or her a bit longer before you have to go home! Pingback: 英語の勉強は何から始めれば良い？ - 英語 Boost!